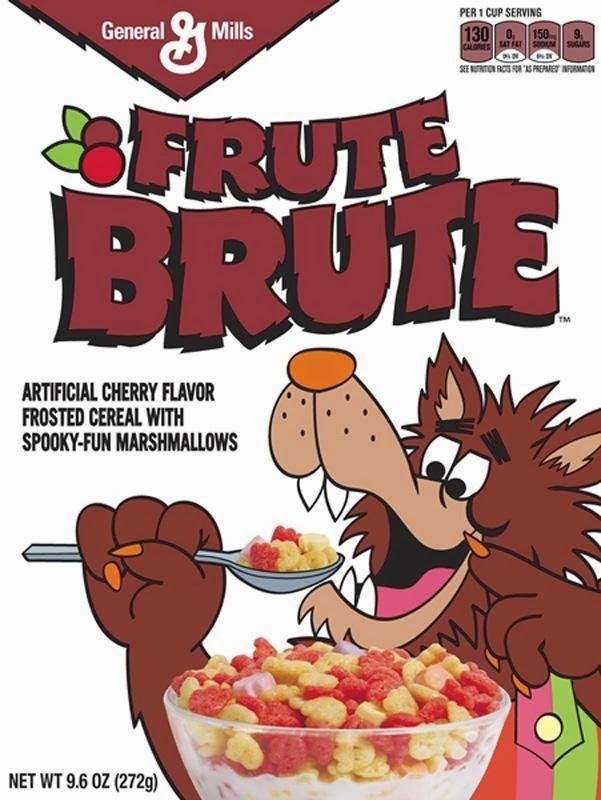 Up for the taste test this time around is Frute Brute, the "artificial cherry flavor frosted cereal with spooky-fun marshmallows." 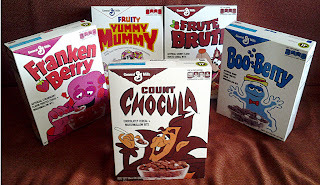 For those who have read the first entry about Fruity Yummy Mummy, you'll notice the descriptions for both cereals are very similar. 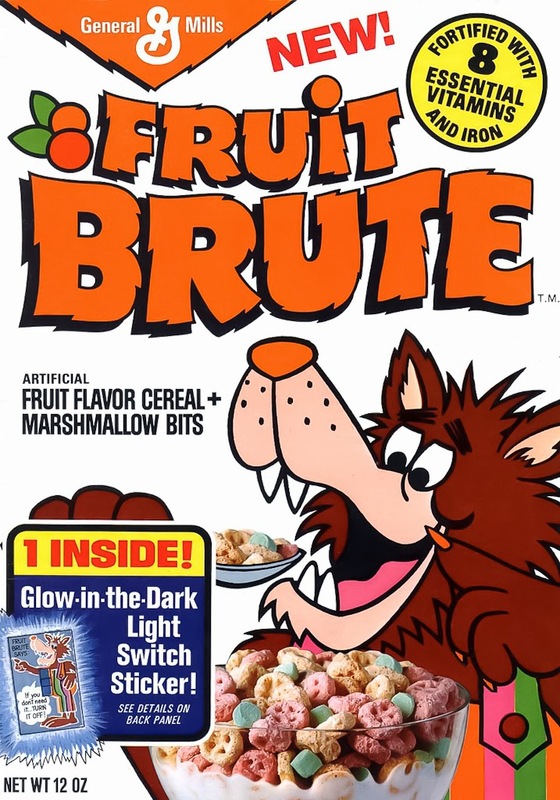 That's because Frute Brute, which was originally on the grocery shelves from c. 1974-82, was essentially replaced by Fruity Yummy Mummy (which was introduced in 1987). 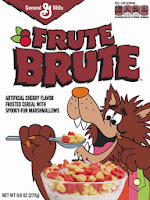 Both cereals are similar in many ways, although Frute Brute definitely has a more distinct cherry flavor. This is perhaps due to the mixture of deep red and pale yellow morsels, which is in contrast to Fruity Yummy Mummy, which had a mix of pale red, orange and yellow morsels. 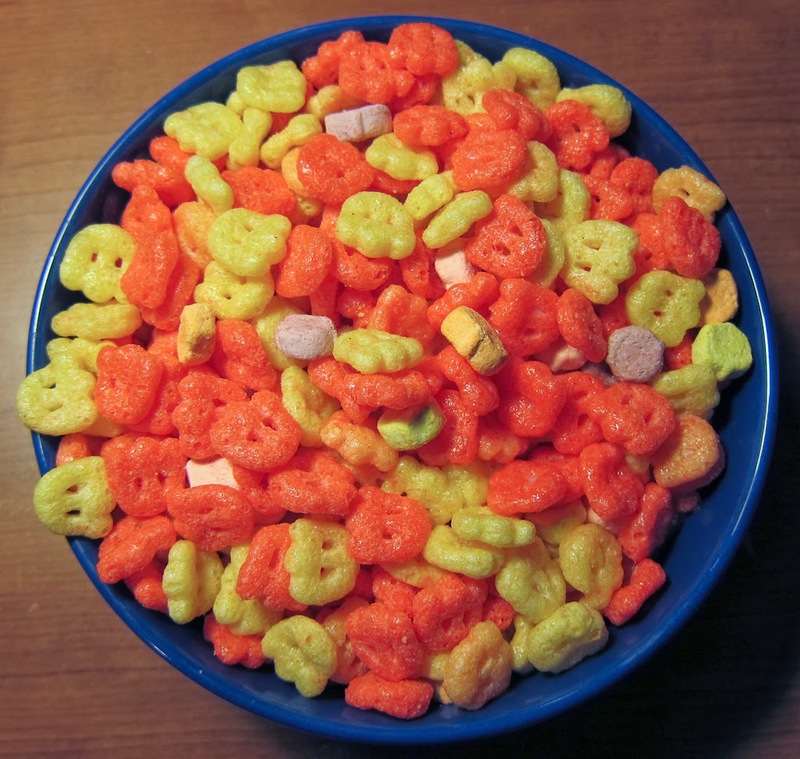 This is a change to the original recipes; both cereals, during their original incarnation, were simply "fruit flavored." 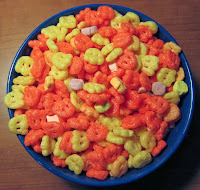 The "spooky-fun" marshmallows appear to be identical in both. Here's the original commercial, which would have aired sometime in the mid-'70s. Note that "Fruit" is spelled correctly on the box in the commercial, because this was the original spelling of the cereal name. I'm unsure when the switch to "Frute" was made, but it seems to only be used on the re-release packaging (in both the modern and retro artwork). 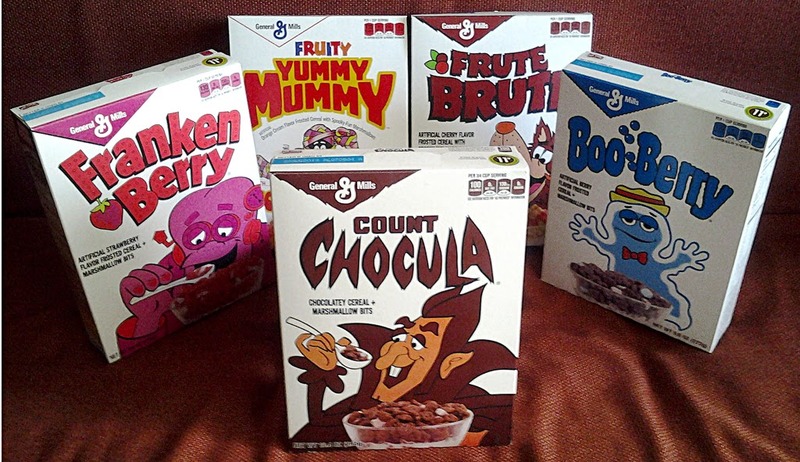 Next up is Boo Berry, which was introduced in 1973, and is one of the "original three" Monster Cereals.